At Radio Caribbean 1982 Limited we aim to positively impact society with excellent content-driven programming that broadcasts news, sports, entertainment, ideas and thoughts while supporting diversity, dialog and the interest of all stakeholders. Our vision is to build our community by sharing information that is provocative, innovative, humane and free from influence whilst promoting diversity and freedom of expression. 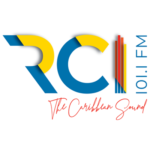 We celebrate all that we are as Caribbean people and as a region through our creatively and in the process through our creativity in entertainment and information for the enjoyment of our listeners to enhance their quality of life. In recent years, the baton has been further passed onto persons like Mareen Alexander, Levi Chin, Juanita Sexius, Liza Peter, Tovah Gibson and Ms. Tamara Gibson as the company’s General Manager. We WILL go all out to employ the best Business! Or develop the best talent that is available in St.Lucia. We will not stop there! But look for all possible avenues for training and growth. Our staff is the engine that drives success of our company and we maintain a free flow of communication and ideas. We expect all our staff will be known for their character, integrity, honesty, professionalism and competence and their commitment.